The pictures look great, but do you notice that something is missing? I had a lot of fun taking these pictures and am eager to take more of them. Some of the experimenting I will do in this class will involve more photographs like this. One of our tasks for this week is to watch the below video on Leverage Points in Systems developed by the Meadows Institute. I watched the video and read the much longer associated article. The concept of leverage points is an interesting one and supports the idea that individuals can make a difference in the world. The article provided some much needed encouragement. It happens I recently came across an article reporting that a city in China is planning on creating a set of fake moons to cheaply illuminate the city at night. Fake moons are mirrored satellites positioned far enough away from earth that they can receive and reflect sunlight to a specific location on our planet. 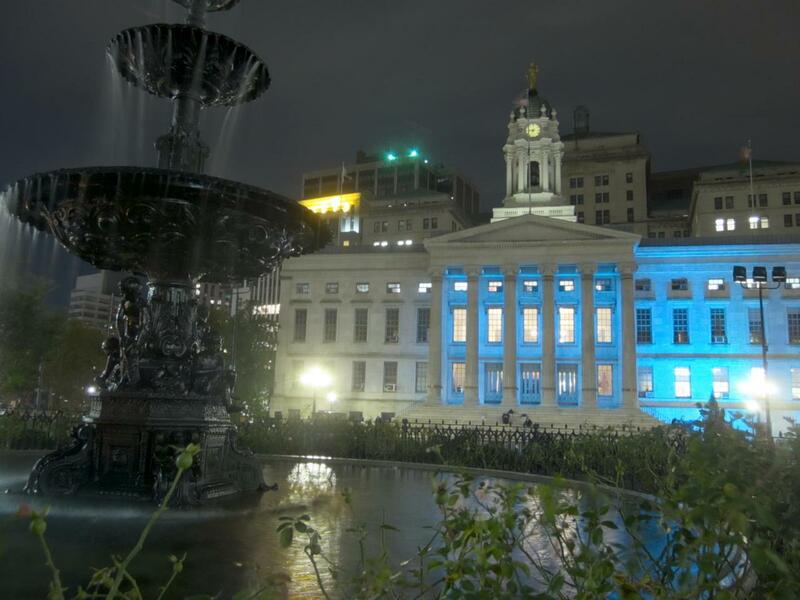 The plan is to illuminate a city at night, saving hundreds of millions of dollars a year in electric bills. Such a creation, if replicated for many cities, may provide short term cost savings but would have a devastating effect on light pollution and our world ecology. It completely reverses the light pollution advances made by dark sky communities. The fact that fake moons are a real thing that are being considered today is incredibly discouraging. Perhaps we are doomed to a total loss of a proper night sky. But back to Leverage Points. What might be the leverage points in our infrastructure system that would bring about maximum change to the growing threat of light pollution? What specific actions can I take as an individual to change the operation of the system and counter cities that want to make fake moons? These are important questions, but while asking them I was reminded of Nassim Taleb's writing on intervening in complex systems. The Meadows Institute explains system intervention using the simple system example of hot water coming out of a shower. This simple system can easily be understood, but relevant and interesting systems are complex. What do you do when turning the knob in the shower does more than change the temperature? What do you do when other parts of the system cause the knob to turn or the temperature to change without your intervention? Something that bothers me about what we are being taught in class is the idea that we can take an understanding of how to intervene in a simple system and extrapolate it to intervening in a complex system. The point the Taleb repeatedly makes in his writing is that complex systems have second and third order effects that often can't or aren't known in advance, or even in retrospect. Those second and third order effects can have large negative consequences that are more costly than the problems they were attempting to address. Taleb points out that people looking to intervene in complex systems often fail to recognize that there even are second and third order effects. Often times those people also don't themselves bear the downside costs of those effects. An example of a complex system is our nation's economy. Economists and politicians like to promote the illusion that the economy can be understood and controlled and will fiddle with interest rates and tax laws to control the business cycle, as if the business cycle can be controlled like hot water coming out of the shower. It simply doesn't work that way. Promoting that illusion is what keeps politicians in office and economists employed. Taleb uses the word iatrogenics to describe treatments that do more harm than good. In his view, we should lean towards not intervening in complex systems unless the expected benefits are large enough to outweigh unforeseen negative consequences. When interventions take place, the proper incentives need to be in place such that there are no moral hazards, or in other words, avoid situations where the people intervening benefit if things go well but suffer no consequences if they do not. Consider medicine. Treatment to save someone's life is critically important because of the large and immediate benefits. There may very well be second order consequences to someone getting a heart replacement, for example, but those are obviously not worse than dying. On the other hand, treatment for minor ailments like a headache will keep pharmaceutical companies in business but may very well have unforeseen consequences to a person's circulatory system. That doesn't matter to the pharmaceutical company though, because they made a profit and they can sell you more treatments for your circulatory problems. It's better instead to pass on the non-critical treatments like headache medicine when it is not needed. Taleb keeps pointing out that before the invention of penicillin doctors killed more people than they saved. In the case of light pollution, what are the negative second or third order effects that should be considered? Actions to control or limit light pollution might have economic consequences, for example, and those economic consequences might be unequal. And what if there are more nighttime traffic accidents and fatalities? What if it limits our cultural expression, such as nighttime concerts or sporting events? Are we prepared for that? If that happens should we proceed? Maybe some amount of light pollution is something we are going to have to learn to live with. It would be easy for me to criticize a city in China that wants to create a fake moon, but without knowing anything about that city's situation I don't know how the people living there might be harmed if it isn't built. At the same time, creating a fake moon is intervening in our planetary ecology and would certainly have consequences that people and animals beyond the city limits would suffer from. I don't know what the answer is here. I do know that for this project I don't want to make it seem like easy solutions to light pollution are available that won't also have at least a few negative consequences. Any leverage points will need to be carefully considered. To help me organize things I created a Google Sheets spreadsheet to keep track of the web resources I have found. Up until now I have been keeping stuff in Evernote but that is going to become unwieldy as this project progresses. I also added a second tab to list potential humans I can contact for more information. Marina also suggested we start a mood board or Pinterest. I've never used Pinterest before and am not keen on joining yet another online platform. I don't understand how Pinterest would be useful for this project but am open to changing my mind if someone else in the class shows how they get value out of it. To start my search for potential subject matter experts on a whim I did a Google search for NYU "light pollution" on the off chance that someone at NYU is doing work in this area. That was a great idea because I hit the jackpot! Turns out there is a whole research center at NYU devoted to the subject called CUSP Urban Observatory. The Director, Gregory Dobler, is an astrophysicist who uses his skills to study urban development. 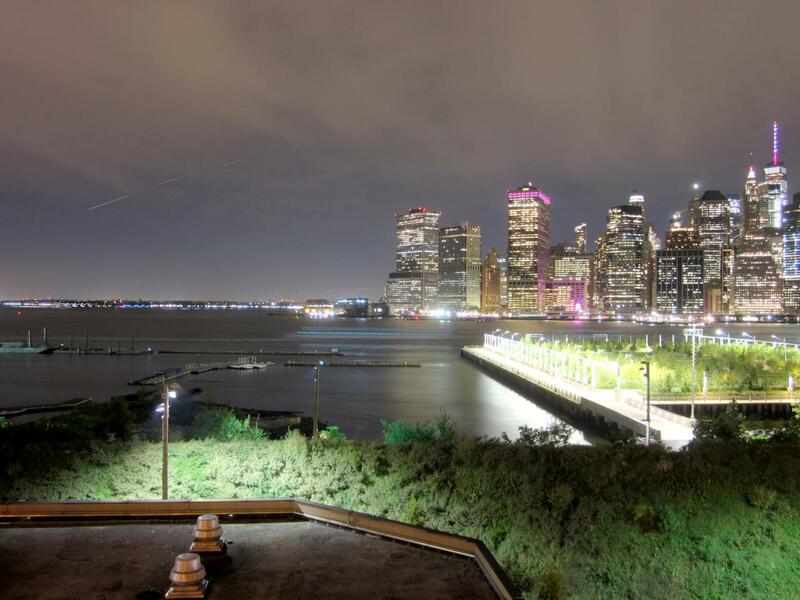 With his colleagues at the research center they study light emitted from NYC buildings. They even did a spectral analysis to identify the kinds of light sources generating the light. 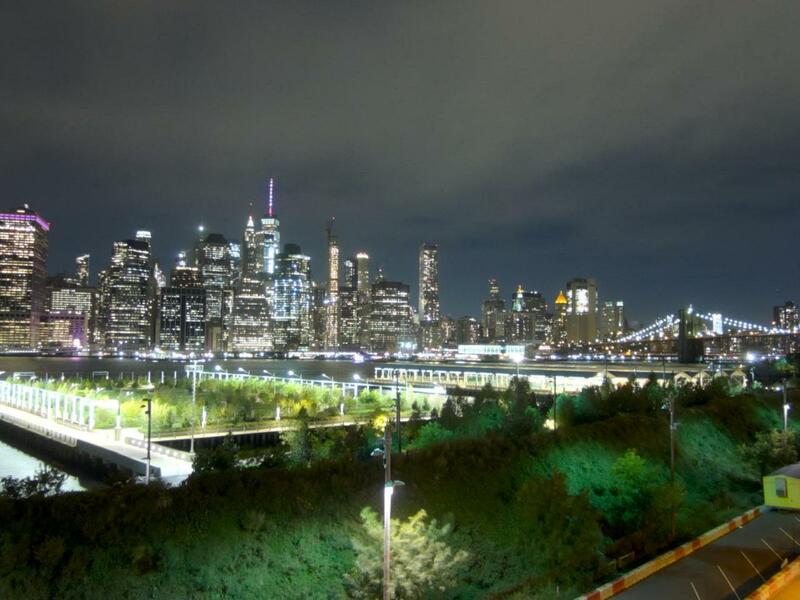 They published a research paper on it called A Hyperspectral Survey of New York City Lighting Technology. In addition to the research center I found a current student at Wagner who has done several projects on light pollution. There are also two former ITP students who built a sculpture that addresses the issue of light pollution. I found a research paper written by a professor at Cornell that I could contact, and I found two photographers who specialize in astronomy photos. They might be interesting to talk to. Before contacting the researchers I first need to read their papers so I can engage them equipped with relevant questions. That is my next step. It is important that their first impression of me is that I am a motivated person who has done my homework on the research they are doing.